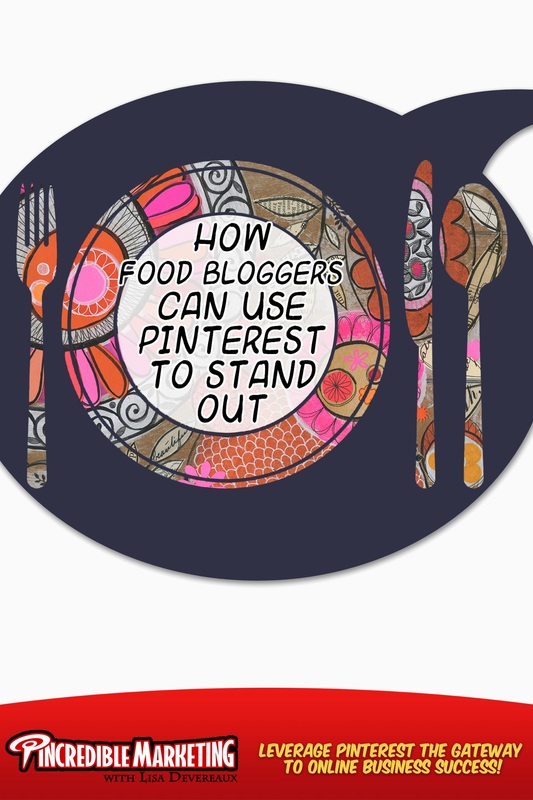 Pinterest and Food Bloggers go together like peas and carrots. If you blog about food, cook your favourite recipes or review food then it makes sense to marry with Pinterest as main social media strategy. Did you know that in Pinterest that Food & Drink is the most pinned and browsed category on Pinterest? Did you know that according to Compete that 57 percent of Pinterest users interact with food-related content, the #1 category of content? 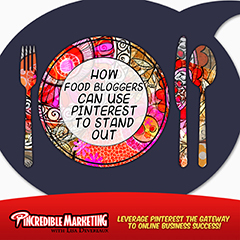 So how can Food Bloggers Use Pinterest to Stand Out? In my research to answer this questions I compared top Pinterest Food bloggers to see if I could discover what they were doing to build a raving following of food connoisseurs, busy mums of dads and every foodie lover to their blog. First of all is reviewing the actual Food or Cooking Blogs. Most food bloggers have gorgeous branded websites with equally beautifully photographer food. The website are perfectly optimised with links to social media and attention to details is the photos. Effort was always made to set the right atmosphere, light and colour and crispness in each photo even if it showed a messy bowl. Images have been make to be appetising and attractive – ready to eat… yummy and inspire the reader to try themselves. The next step from having beautiful images to use is to make sure they are optimal for people to Pin. Make sure you have a keyword rich description in your Image Alt tags so when readers share you pins the right keywords are saved to help the pinner out. Successful food Bloggers put a lot of love and care into their Pinterest accounts. All accounts are set up with profile images, verified and short enticing descriptions. But what really differentiates food bloggers from the rest is carefully crafted Pinterest Boards. Food Boards are limited only by your imagination on how to categorise food. Have you tried? Desserts, desserts and desserts (my favourite board) which could be subcategorised to chocolate boards, cakes and ice-cream boards. Food Boards are endless! What is your favourite? Another tip these Food Bloggers do is contribute to Group Boards and start their own Group Boards on a particular cooking idea or food type. people want to see and share. Follow PinchofYum on Pinterest Here. 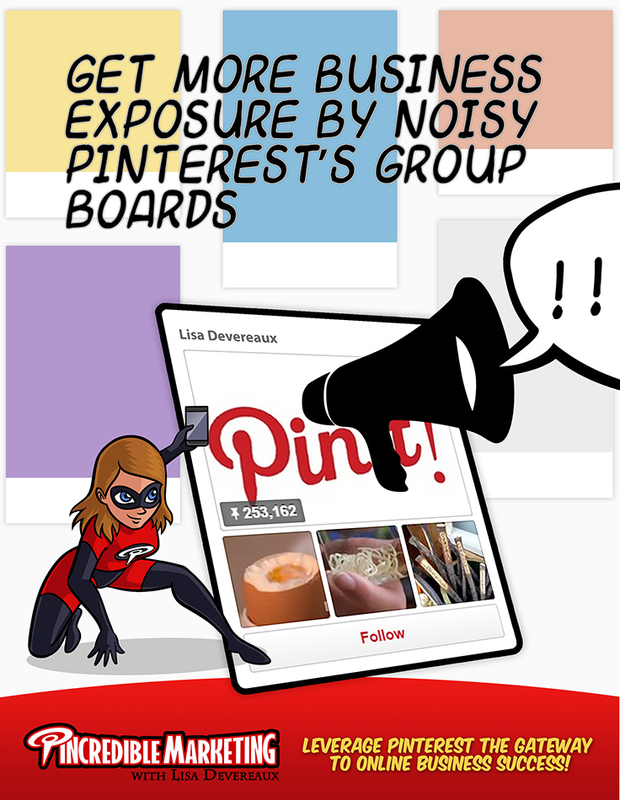 Pinterest group boards are a strategy where multiples pinners can contribute to a board. Its fun to get together – be noisy and create some great content together. It’s a great way to meet like minded people and share pins while contributing together. It’s also a great way to get more exposure. Once your profile is up and running it might be a good strategic idea to create your own group board. This is easy to do. All you need to do is go to your Profile Page and Add a new Board as per usual set up. After you have selected a name and category the final step is to add your first contributors. Before you set it up it might be an opportunity to Pinterest message a few key colleagues in your niche/industry to invite them personally first. Once you had added contributors then Pinterest will sent an invitation on your behalf. No they can pin on the same board as you and the group will appear on every contributors page. Group boards are a great strategy to increase followers as more people contribute, more people follow and as owner of the board the followers are credited to you. The problem most pinners have is finding group boards to apply to pin too. Officially from Pinterest there is no directory of Pinterest group boards. In order to distinguish a group board from a regular one you need to look out for the group icon at the top of a board when you are browsing someone’s page. Some pinners have tried to solve this problem by boosting their profile with a number group boards across categories. For instance Renae Christine has an impressive 500 Group Boards to join and its a directory in its self! Another nifty online free tool is PinGroupie. PinGroupie is an up to date database of group boards where you can search by category. Then you can order the list by how many pins, collaborators, followers, likes and repins. It also has other search features to find a board you would like to contribute too. If you set up a group board it is a good idea to put some direction in the description box on how to join a board. If there is no description all you need to do contact the creator. To find the creator of the board always go to the first image on the left side next to the number of contributors. Then you can follow and try to contact them directly. If you are already following each other than that is another opportunity to Pinterest Message as well. On another note if you are administrating a Group board. It is a good idea to have some guidelines on what can and cannot be pinned. Just like a Facebook forum you want to maintain the integrity of the board and make sure no spammy pins are posted. Do you have a Group Board? Why not share it in the comments below. Any goals for a business is to generate leads to convert into customers, clients and ultimately sales. The majority of Pinterest users are women and one in five women are on it. Women are the biggest decision makers in making consumer decisions. With an ever-growing fan following, Pinterest is no longer a network solely for Thanksgiving recipes, pet pictures and makeup tutorials. The rocketing popularity of this social media power house has gained it a sprawling reputation of being a lead generation machine and an important conversion tool in the eyes of marketing gurus. More users are in a buying mood and they’re browsing for the next “it” item. Why is that important? Simply, if you can make social profitable and influence commerce you are going to win the popularity race. Pinterest is ultimately a Search Engine. Thing Google but the results are all images bookmarked to the latest and most popular information. People love images. On Google it is becoming more difficult and challenging to rank for priority keywords for typical business websites. However on Pinterest, savvy marketers can get heaps more traffic leveraging the social network of Pinterest with a few additional tips using the right keywords so users can find them. 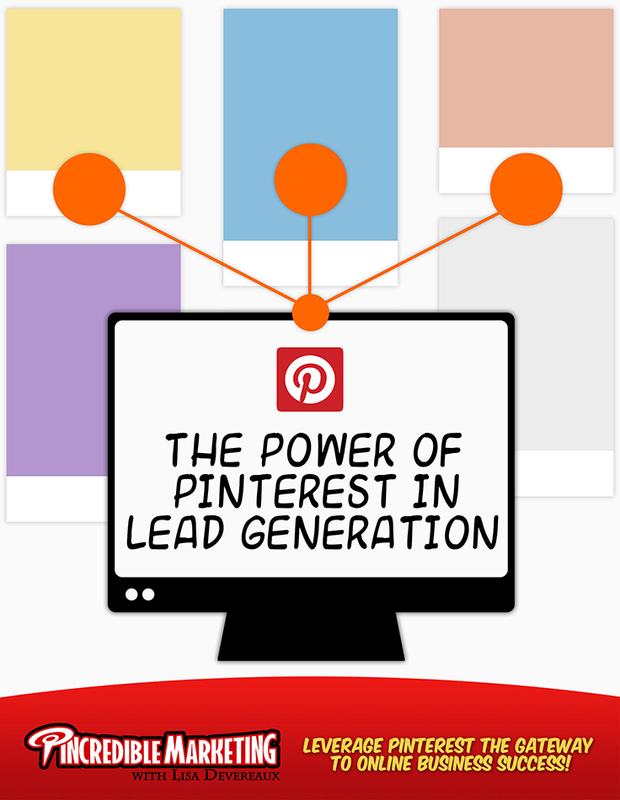 Let us walk you through some basic steps that can be instrumental in paving up your lead generation endeavors on Pinterest and convert your Pinterest followers into potential customers for your business. Pinterest is all about images, so use it effectively to lead prospects to your words. If your business website maintains a blog, develop a habit of pinning each of your blog’s main images to your brand network on Pinterest and link them back to the corresponding blog post in addition to including CTAs and links to landing pages to detain lead data. You can further increase your leads by creating premium offer on your landing page, offering a free vide tutorial on a business-related topic or advertising a free eBook in return for their contact information. Put your creativity to test, and convert boring company data or text-based promotional content into attractive info-graphics. Pinterest followers love tall images with concise content and vibrant colors. By assimilating a lot of information in an appealing manner, Info-graphics can really become an effective player on your lead generation team. It is imperative that you use high resolution pictures on your boards with vivid colors, and attractive outlook. Use descriptive captions that describe your pins and make them easy to locate. Don’t forget to Pin and Follow! 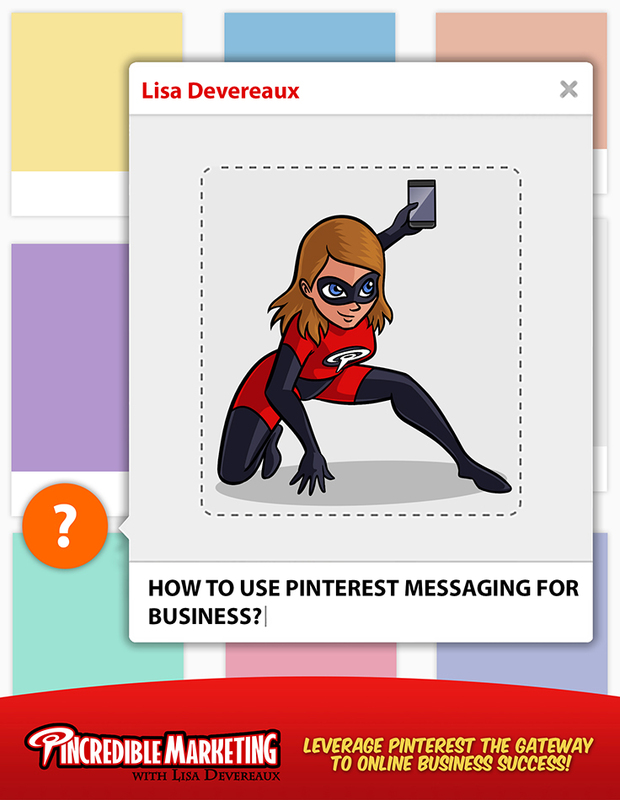 How to Use Pinterest Messaging for Business? Pinterest messaging is a feature I believe to be totally underutilized in Pinterest. Pinterest enabled the new feature as a way to make pinning personal and enables you to send a private message to your followers. Besides from being completely private, the Pinterest messaging system allows up to ten Pinterest users to engage in a visual group conversation at one time. This exceptional feature is particularly beneficial for team projects that involve a lot of visual co-ordination, for example, organizing a friend’s surprise bridal shower or planning a college concert. Don’t forget to Pin and Share the image below! From exploring their interests and finding desired products to connecting with people with similar passions, millions of users use Pinterest every day to benefit from its interesting content. Owing to its fan base, Pinterest could be an ideal launching and marketing platform for your Etsy business. 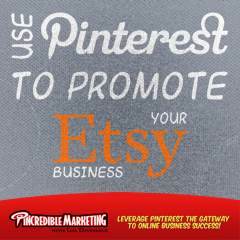 Have a look at a handful of our tips to effectively promote your Etsy Shop on Pinterest. 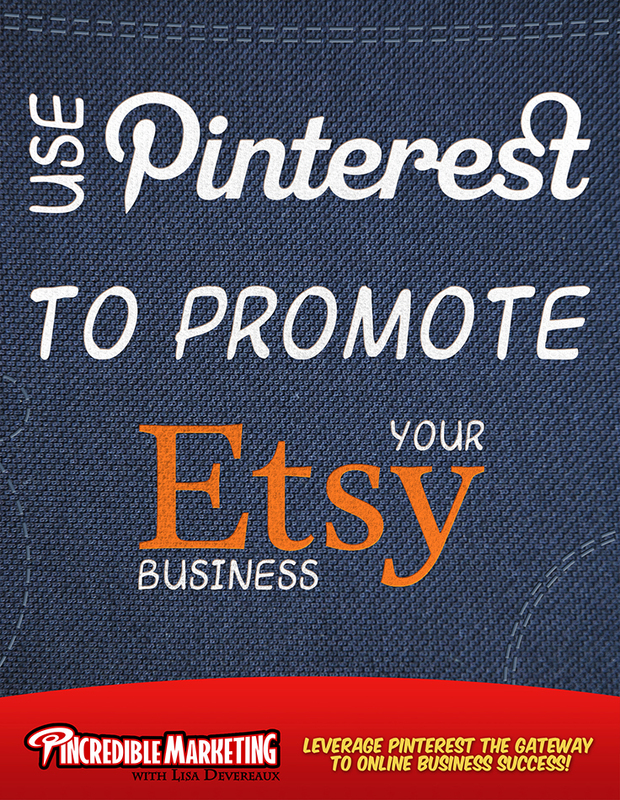 Start by using the ‘Etsy Attribution Icon’ on Pinterest and the ‘Pin It’ button on Etsy! Confused much? It’s okay, read on! Copyright infringement has previously been a cause of concern for artists on Pinterest. In their attempt to address the issue, Pinterest has introduced attribution icons to pins from various retail and blog sites, including Etsy. As these attributions occur automatically, once you generate a pin from your Etsy shop, it will instantly include the icon, regardless of a specified source. Etsy Attribution Icons have been really instrumental for Etsy sellers as they acknowledge their potential customers that their re-pinned items can be easily purchased from Etsy. In conjunction with the Etsy attribution icon, the Pin It button on Etsy’s products allows pinners to easily pin products from the site with direct backlinks. This further allows Etsy shop-owners to provide an automatically generated caption for the product pins. Think your shop is really cool? Make Your Boards Cooler! Make your range of boards reflect your Etsy shop’s personality, taste and ideology. Also, make sure each of your boards includes enough pinned content to make it worthy of following. People are more likely to not follow a board titled with a Shakespearean phrase, so make it a point to label your boards clearly using an easy vocabulary. However, being creative won’t really harm your Pinterest presence so feel free to use your creative flair. Pinterest users do judge a book by its cover so for each board, choose a compelling cover picture that instantly attracts users to follow that board. Using a pin with most re-pins may work well for this purpose. 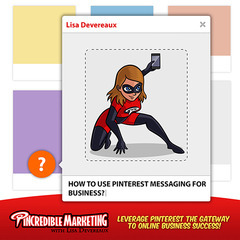 Over time, Pinterest has introduced some really business-friendly features like Rich Pins and Pinterest Messenger. Another great feature that is particularly helpful to Etsy sellers, and generally to all brands, is the option to add a price tag to a promotional or salesy pin. For example, if an Etsy seller lists a product for $55, he can simply type in “$55″ in the caption field and Pinterest will automatically add a banner across the pin with the price. This not only provides instant price information to potential buyers, but also categorizes the pin as a “Gift” on Pinterest which ultimately gains it more exposure. What could be more fatal for your Etsy business than letting your potential customers forget you? You need to pin at least once daily so your followers wake up to find a fresh image of your latest product in their home feeds. Instead of indulging in a pinning frenzy, it is more sensible to spread your pins throughout the day to avoid overwhelming your followers. Pinning can be your visual way of telling your brand’s story to your customers. Use attractive images to capture their imagination and aim to establish a deeper connection with your pinners. For example, if your shop sells women’s coats, experiment with pinning a product photo in conjunction with some images of breathtaking winter scenery, or even winter escapes, to inspire your pinners’ imagination of the season. That being said, remember that most pinners usually discover pins individually so make sure to add a logo, signature, backlink or other branding elements to all your images. As with boards, careful and well-thought-out descriptions make pins more understandable, inspiring and easy to find. So, invest some time and energy to write descriptions for your pinned products. Descriptions from your Etsy product listings may come in handy as they are automatically included in the description field once a pinner uses the ‘Pin It’ button on Etsy to pin them. Pin several images daily, but at different times. Add your latest Etsy items, especially those that genuinely contribute to the community, such as environment- friendly products. As long as you don’t come across as nosy or extra chummy, get into a habit of following other pinners’ boards and like, repin, and comment on the pins that relate to your shop or inspire your product ideas. Stay a step ahead of what’s resonating with your target market by keeping an eye out for other pinners’ activities and content. You can do this by searching for similar products being offered by competitor brands on Pinterest to find which boards they appear on, what keywords and hashtags they use, and most importantly, what followers pin along with those products. These insights will not only help you in evolving your pinning and re-pinning strategies, but also direct your decisions on what to manufacture and sell. As a final point, remember that Pinterest is a graphic medium that communicates with pictures, and therefore, you need to make sure that your Etsy items undergo high-quality product photography before they are featured on Pinterest. You will definitely need more than plain products set against a white background, which is a norm on Etsy, to make a perfect attractive pin. Experiment with different lighting, close ups, lifestyle images, and filters to make your offering visually appealing. With over 70 million followers as of June 2013, Pinterest has become a social media powerhouse with its visual marketing potential. This digital soft board not only lets you retain your favorite ideas and DIY hacks without searching for a pen, but Pinterest can also be an effective platform to get your business ideas noticed and enhance your social media presence through Search Engine Optimization. 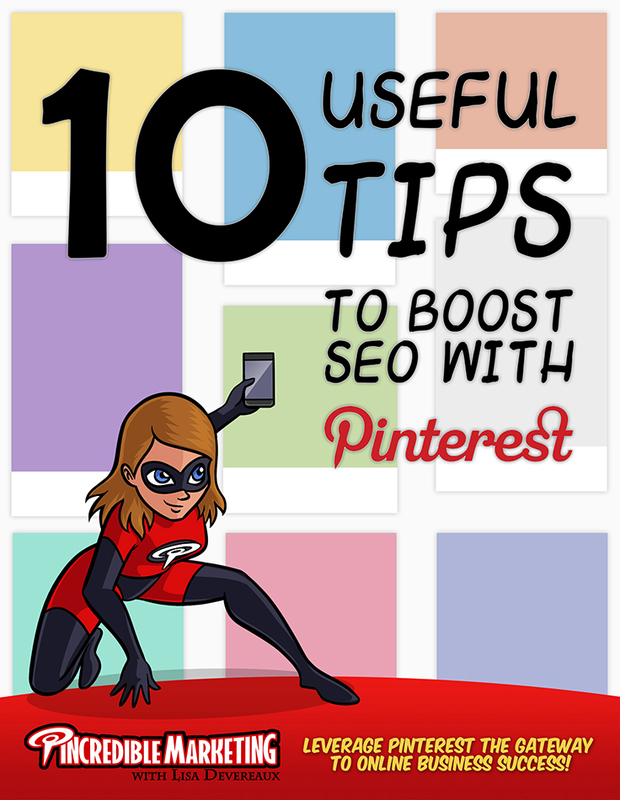 After all, a picture is worth a thousand words, and Pinterest uses just that to be an effective player on your SEO team. SEO begins with optimizing your own profile. Just like your profiles on other social networks, search engines pick some information off your Pinterest page such as your Pinterest username and About section, and therefore, it is highly recommended to use your brand name or top keywords to name your Pinterest profile. The About section only allows a 200-character space to concisely portray your business idea and brand image. It is imperative that you optimize it with keywords to maximize your visibility in search results and use the same description as your other social media profiles to ensure consistency. A social signal simply refers to a link from different social media profiles to your blog or website. For example, if you hit the ‘Pin it’ or ‘Retweet’ button while reading a blog post, it becomes a social signal for the blogger and indicates social activity on their website. In addition to being a social proof, your site can also earn rewards from Google for its social signals, which ultimately triggers your SEO. Maximize your social signals by interconnecting your Facebook, Twitter and other social media accounts to your Pinterest profile and regularly engage in cross-sharing popular pins from high-traffic sites like Youtube, LinkedIn and Google+. It is a great feeling to have your notifications bar flooded with re-pin notifications, but when it comes to Search Engine Optimization, it is actually your boards that can make or break the social engagement on your Pinterest account. Your boards are your first impressions on browsers, and are therefore, instrumental in increasing your following, as well as your SEO ranking. Keep your board titles brief and captivating, optimizing them with the most common keywords. When using Pinterest for SEO purposes, use imagery as your most powerful weapon in gaining popularity. Choose the best image for your board cover to persuade pinners to follow that board. The secret to your pinning success lies in creating more of your own genuine pins. This is because every time a pin is pinned or repinned on Pinterest, a backlink is created to lead pinners back to your website, and therefore, the more your pins get shared, the more targeted traffic gets redirected to your website. Backlinks can spectacularly increase your visibility and online reputation and be invaluable for your brand’s SEO because search engines take them into account when determining relevancy. When you upload an image to Pinterest, make sure to link them back to your full website, product catalogue, landing page or blog post. Also make sure your account is Verified First. From Animals & Pets to Women’s Fashion, Pinterest offers 38 categories to organize your boards, and help pinners find their desired boards. Organize your boards into the most appropriate categories to enhance and ease the user experience and boost your search engine visibility. If you can’t find a category that represents your business or brand, it is best to go for the closest match and optimize your image captions with your brand name and keywords. A majority of pinners don’t bother to scroll further than the top two rows when deciding to follow a board, and therefore, it is vital that the first two rows of your board are able to convince your target audience to follow you. Get into a habit of positioning your best, brand-centric content in your top two rows to increase your audience, increase the leads to your company website and boosting your SEO. 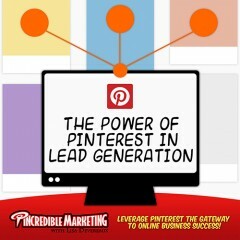 Take this one as a rule of thumb when using Pinterest to climb up the SEO ladder. You may find it easy to repin the most popular content from other users’ boards, but a little research and effort into seeking new and appealing content may go a long way in earning your Pinterest profile, and eventually your website, more followers. Although Pinterest allows its users 500 characters to describe their pins, most pinners usually resort to monosyllabic captions or simple periods to adhere to Pinterest’s rules. An ideal caption length lies between 100-200 characters; make use of hashtags and keyword studded captions to rank better in Pinterest’s search results as well as to improve SEO. Your picture may be worth a thousand words, but remember that whatever you save your image as, will become its default name on Pinterest. You certainly wouldn’t want the mouth watering image of your restaurant’s bestselling Spinach Ravioli to appear as ‘ACV200932-300×200’! Get into the habit of picking a descriptive name for your images, preferably product names, as well as adding your brand name and keywords to get noticed. This strategy may be little-known but can provide great SEO benefits particularly on picture-based sites like Pinterest. Optimizing your SEO through Pinterest primarily requires you to make yourself visible to search engines and other prospects. If you are new to Pinterest, make sure you turn off the ‘Hide your Boards’ option within the settings bar to make your boards appear within search results. This is potentially the most crucial mistake new pinners make and can drain away all their Pinterest marketing efforts.